It was a most elegant symphony of visual alliteration: waxwings wolfing waxberries. A flock of many dozen Bohemian Waxwings landed on a staging tree above a bank covered with rose hips and waxberries (aka, snowberries). They flew in waves to the waxberries, but ignored the rose hips. They plucked berries from bushes and fallen ones from the snow. They then flew back to the staging tree to eat their prizes while the next wave of birds flew in. I have watched mammals and wild turkeys eat these berries, but the sight of waxwings doing so was particularly appealing to my sense of linguistic symmetry. A waxwing has scrounged a barely discernible snow-covered waxberry from the snow pack. 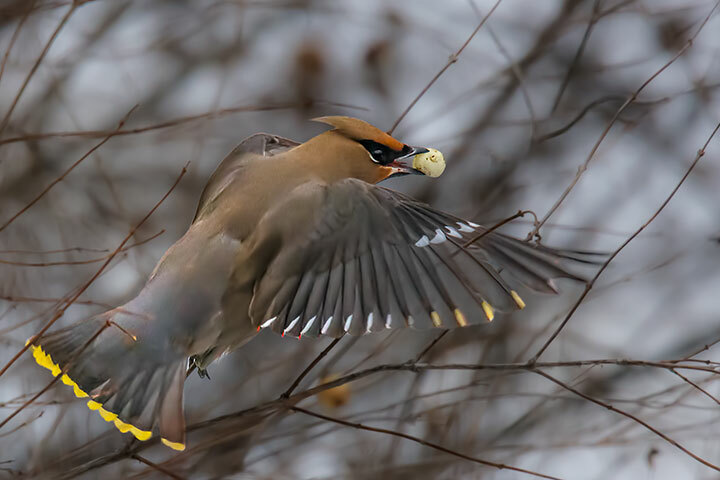 A waxwing returns to the staging tree to eat its prize. 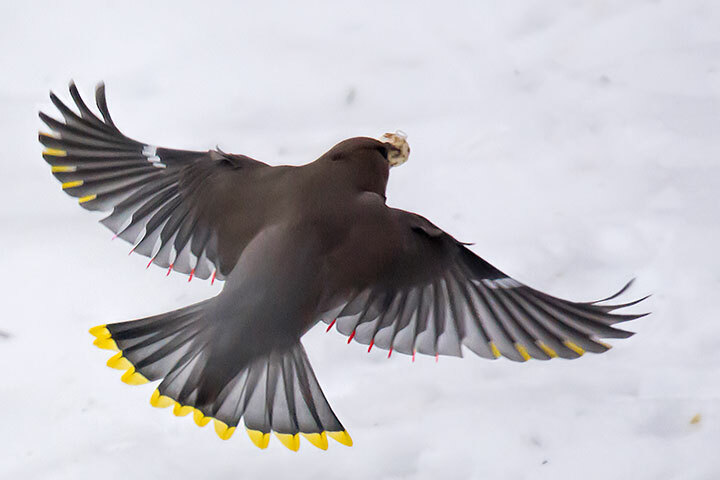 The name, waxwing, comes from the the waxy red shafts of some its wing feathers. These red shafts are easily seen in these pictures. Having plucked a waxberry from the bush, some waxwings then had to navigate branches. This entry was posted in birds, wildflowers. Bookmark the permalink. I love how you caught the coloured tips of this fine feathered friend. Both of you have a sharp eye for food morsels. The most photogenic of birds! The yellow feathers are a welcome splash of colour this time of year. 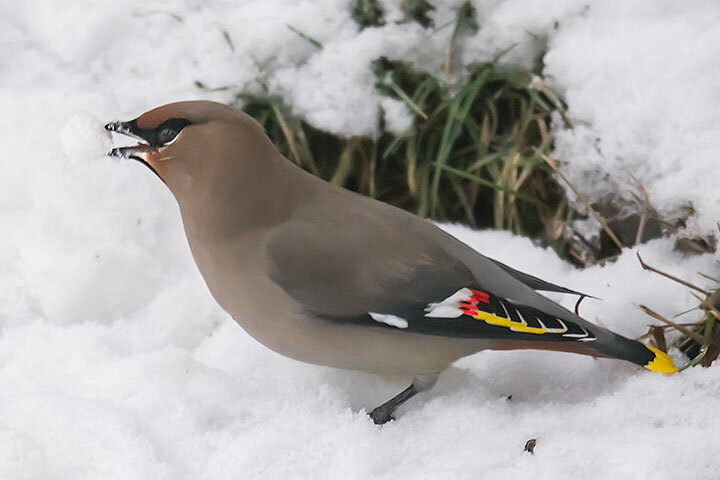 It’s a treat to see these waxwings in various postures, each demonstrating their incredible beauty and characteristics!